Hey-hey-how about the crazy custom mod Pontiac GTO designed by Dean Jeffries for the Monkees on their 1960s TV series? 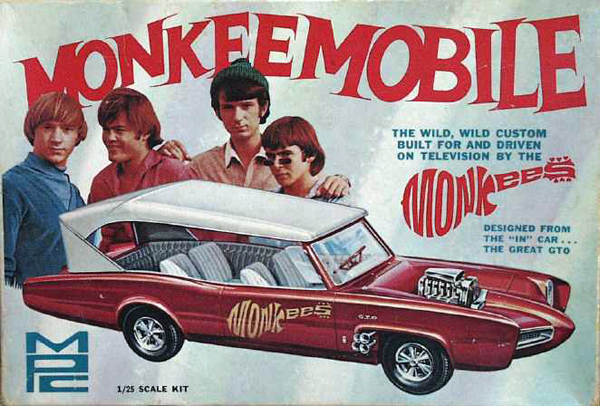 It’s called the Monkeemobile and it looks like those crazy custom car stickers everyone used to have on their Trapper Keepers. Get one for less than $25. 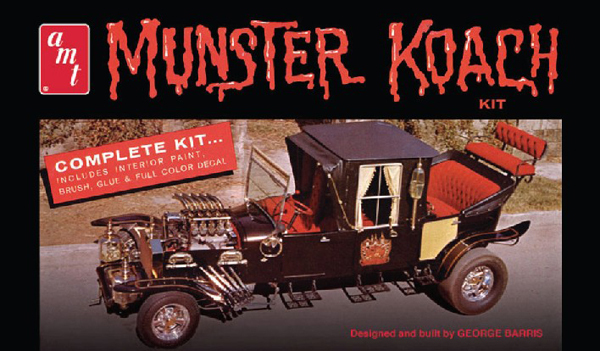 How about the over-the-top Munsters Koach made for the old black and white series starring Fred Gwynne as Herman Munster? 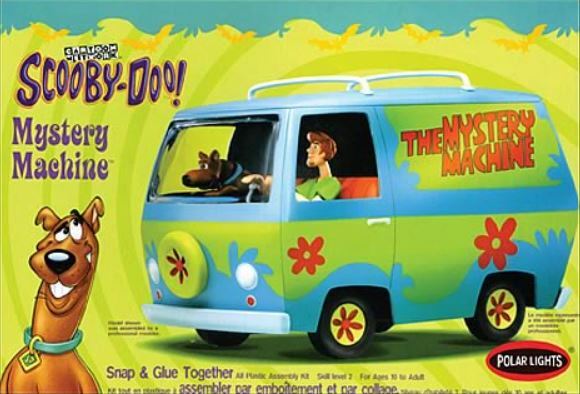 Who can forget this freakish machine? 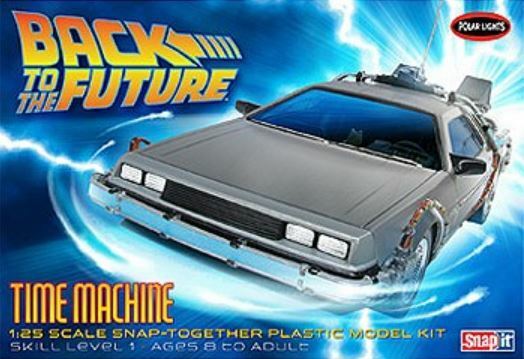 This model kit is available for less than $25. 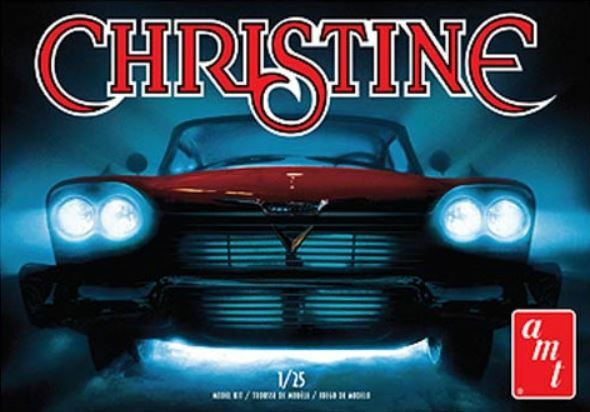 This is the car kit that caused me to do a double take in the hobby shop–it’s Christine–the 1958 Plymouth Fury that became a little possessive of its owner in Stephen King’s novel turned 1983 horror classic. Christine retails for less than $30. 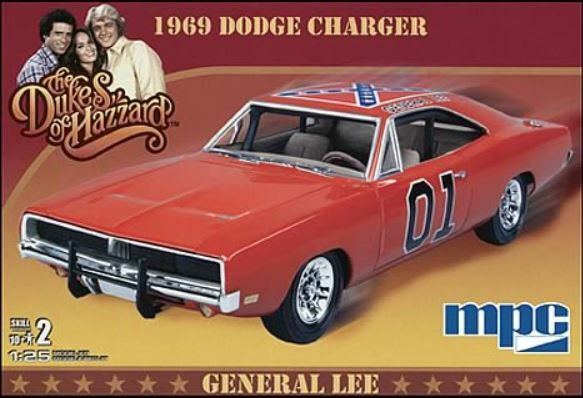 Every kid in the 1980s at one time had an orange 1969 Dodge Charger from the Dukes of Hazzard, whether it was a Hot Wheels car or model kit, it’s an instantly recognizable icon of the TV show. You can get one for less than $20. 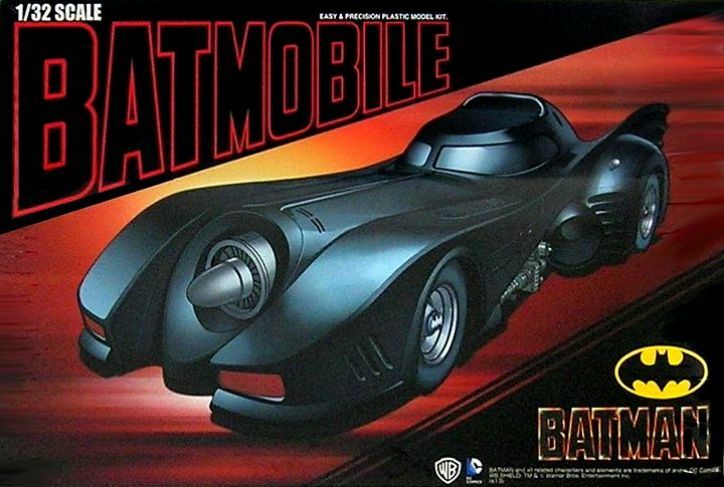 If you think the coolest of all Batmobiles was the Batmobile driven by Michael Keaton, then this stylish machine may be right for you. Seen in the first two Batman movies starting in the late 1980s, this one would look good on your desk at work. It’s available for less than $35. Then there’s the car anyone could afford–life-sized even. 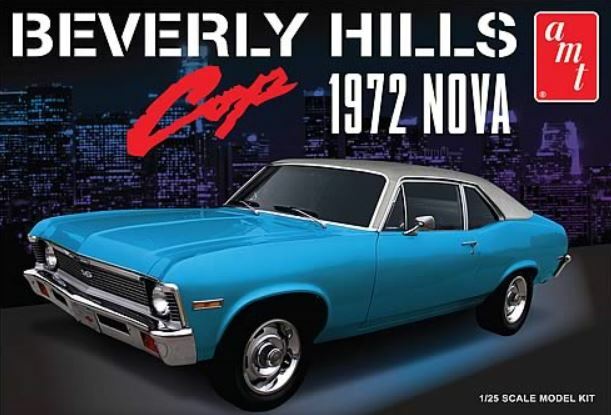 It’s a 1972 Chevy Nova. This one is based on the car driven by Eddie Murphy’s Axel Foley in Beverly Hills Cop. Insert your Harold Faltermeyer soundtrack here. You can get it for slightly less than Blue Book for a real Nova, under $30. Is a post-apocalyptic ride your thing? 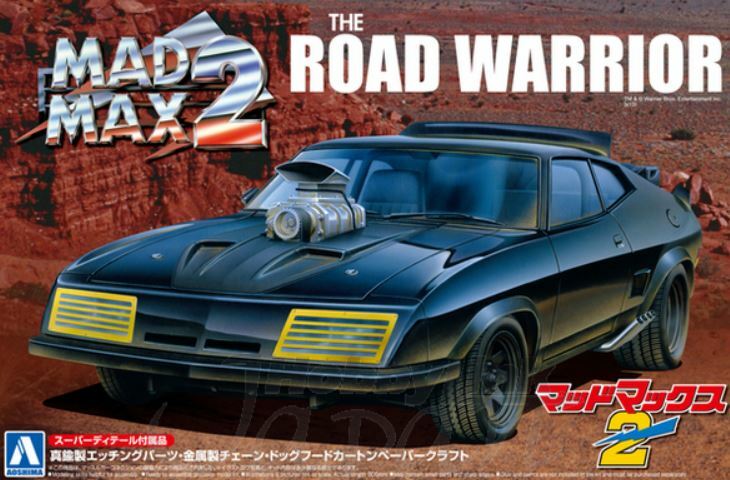 You can get the Mad Max Road Warrior modified 1973 Ford Falcon for less than $50. Missing your Bruce Lee fix? Get a Green Hornet “Black Beauty” classic car from the hit TV series for less than $40. 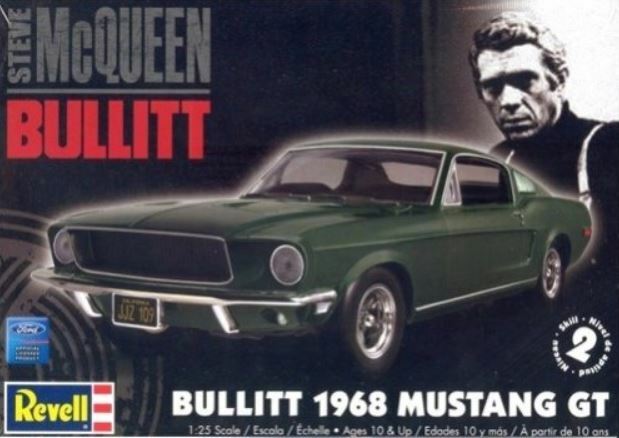 And we’ve saved the best for last–Steve McQueen’s 1968 Ford Mustang Fastback from Bullitt . It’s the coolest car from the best car-focused action flick of all time. These are harder to find, but you can find them for less than $40. Can’t you just smell the aroma of Testors enamel paint ? Get building (or buying)!